cjcilino had the most liked content! My apologies for not having much info on this page yet. I'm just trying to get the code in a presentable state and then I'll broadcast it's purpose and stuff.... And Cirrus Logic is not affiliated with NI. I'm not sure why my profile reads "NI"... hmmm.... I'll see if i can get that squared away. With NIWeek 2015 around the corner community events like the "World's Fastest Coding Challenge" are getting spun up. Another one of my favorite community event is the "Challenge the Champions", a competition between 5 LabVIEW Champions (including the new LabVIEW Champions being inducted at NIWeek 2015) and 5 challengers who think they can usurp these leaders of the LabVIEW community. 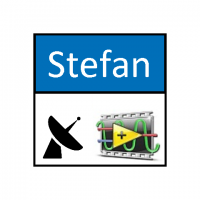 In case you're unfamiliar with the LabVIEW Champions program you can find out all about it at bit.ly/lv_champions. I already have three challengers who'll definitely give the Champions a run for their money lined up. So I'm looking for two brave souls to step up to the plate on Tuesday evening, August 4 at 6pm sharp. To those two challengers out there, please send me a private message by Wednesday July 29th. Fame and glory await! NIWeek 2015... 8 days and counting! All systems go! Announcing NIWeek 2015 "World's Fastest LabVIEW Programmer" Competition! NIWeek 2015 is just a few short weeks away! Community is a huge aspect of NIWeek and one of the most popular and fun community events is the â€œWorld's Fastest LabVIEW Programmerâ€ competition. This prestigious title has been successfully defended by NIâ€™s own Darren Nattinger (and if youâ€™ve ever seen him compete you understand why). But this year Darren has announced his retirement from the competition and will go down in history as undefeated for 7 straight years beginning in 2008. While weâ€™re sad that he wonâ€™t be competing, that means there will be a new name inscribed on the coveted trophy! For those of you unfamiliar with the event, the â€œWorldâ€™s Fastest LabVIEW Programmerâ€ is a competition to see who can best take advantage of the many LabVIEW IDE tools, like Quick Drop and a vast array of APIs, that make it easy to crank out code at breakneck speeds! Visit bit.ly/lv_fastestcoder to learn more. Your journey to the trophy begins at the â€œLabVIEW Coding Challengeâ€ kiosk in the LabVIEW Zone on the NIWeek expo floor. There youâ€™ll face three challenges designed to put your lightning fast LabVIEW skills to the test. The two fastest competitors will be brought up on the Technology Theater stage Wednesday evening of NIWeek at 5 pm in a live, face to face race to the finish. And of course, spectators are welcome to cheer them on! Think you have what it takes to be the next Worldâ€™s Fastest LabVIEW Programmer? Step up to the kiosk and let the race begin .... glory awaits!! Totally looking forward to the BBQ!!! Hey MarcCG, Thanks for the props! It's kinda funny. I've created some "hidden VIs" for my own purposes and one of them is to return an array of references to each node in the tree. In effect I flatten the hierarchy into an array so that you can touch every element. After install, the vi is located at ..vi.lib_ApplicationToolsContainersContainersContainerTestsTesting UtilitiesReturnEntireHierachyofContainers.vi Hey drjdpowell The Containers are by-reference. I didn't want to create copies of Containers in the tree so I store references to children in parents.